Getis Introduction to Geographyis written to clearly and concisely convey the nature of the field of geography, its intellectual challenges, and the logical interconnections of its parts. Even if students take no further work in geography, they will have come into contact with the richness and breadth of Geography and have new insights and understandings for their present and future roles as informed adults. 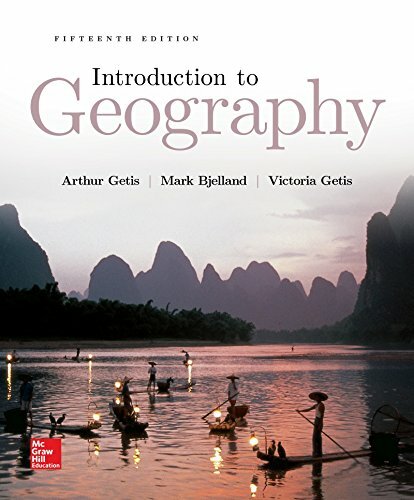 This new edition provides students content and scope of the subfields of geography, emphasize its unifying themes, and provide the foundation for further work in their areas of interest.